Affordable price – exceptional quality. 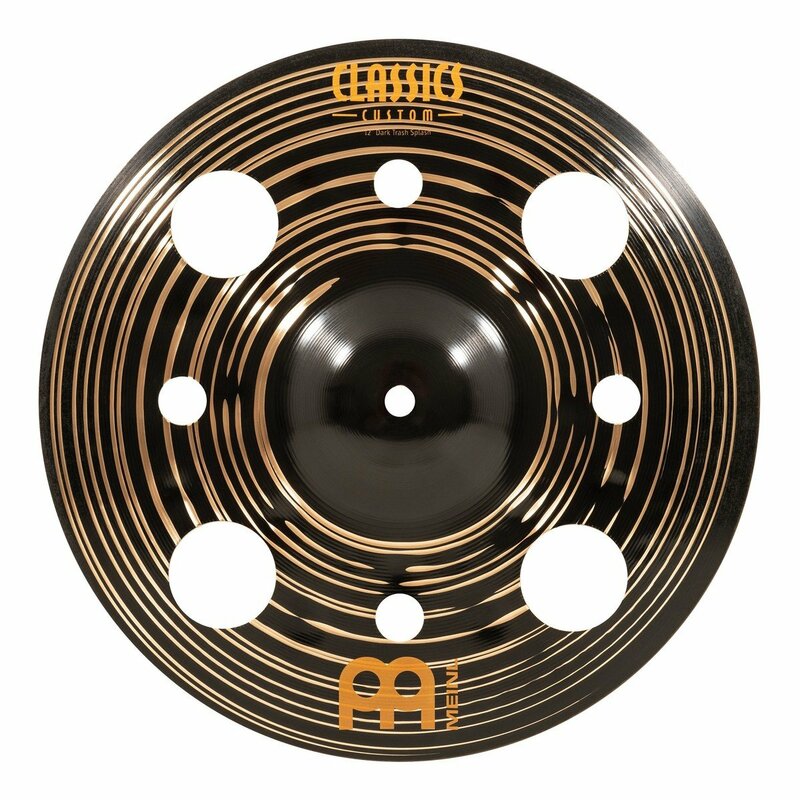 Dark cymbals don’t have to be unobtainable. 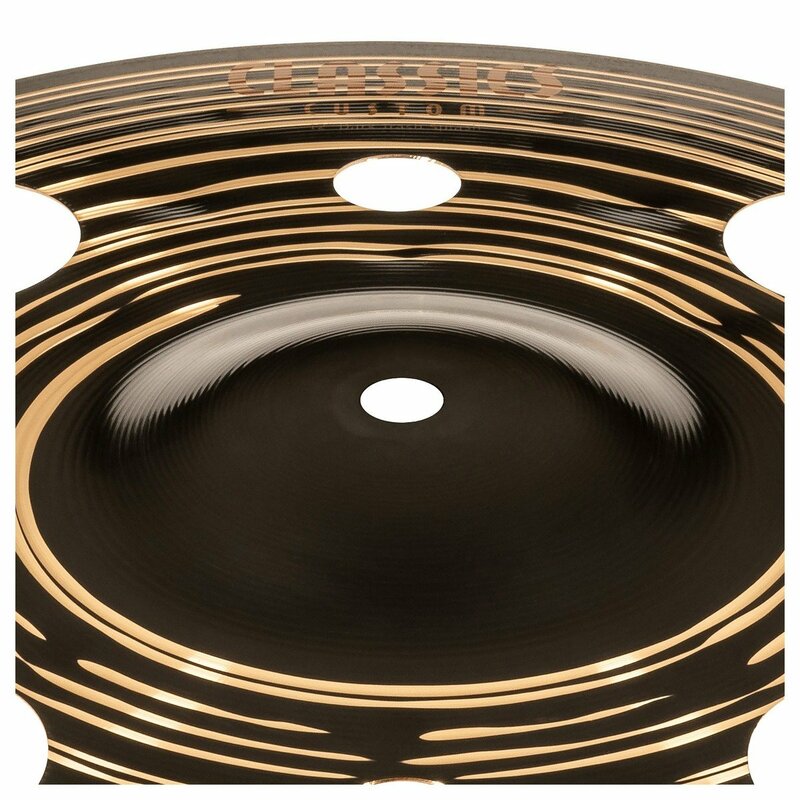 Meinl now introduces the brazen roar of a Meinl 12″ Classics Custom Dark Trash Splash to the series. Featuring widely spaced, deep hammering for dark, complex voicings within the metal. Additional lathing rounds out and refines those tonal qualities to provide a warm attack that retains plenty of cut. 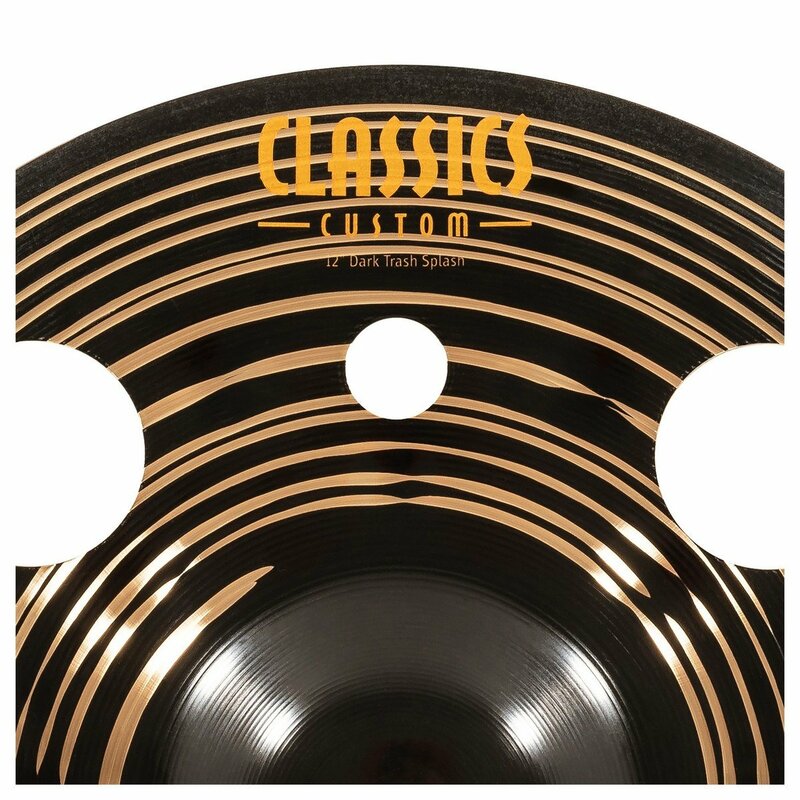 Specially cut holes provide the ‘trashy’ qualities often heard on the kits of versatile and skilled drummers today. The Custom Dark Trash Splash opens up immediately with a quick burst of trashy noise. With a short sustain and rapid decay, it’s perfect for accents and creating unique stack sounds. 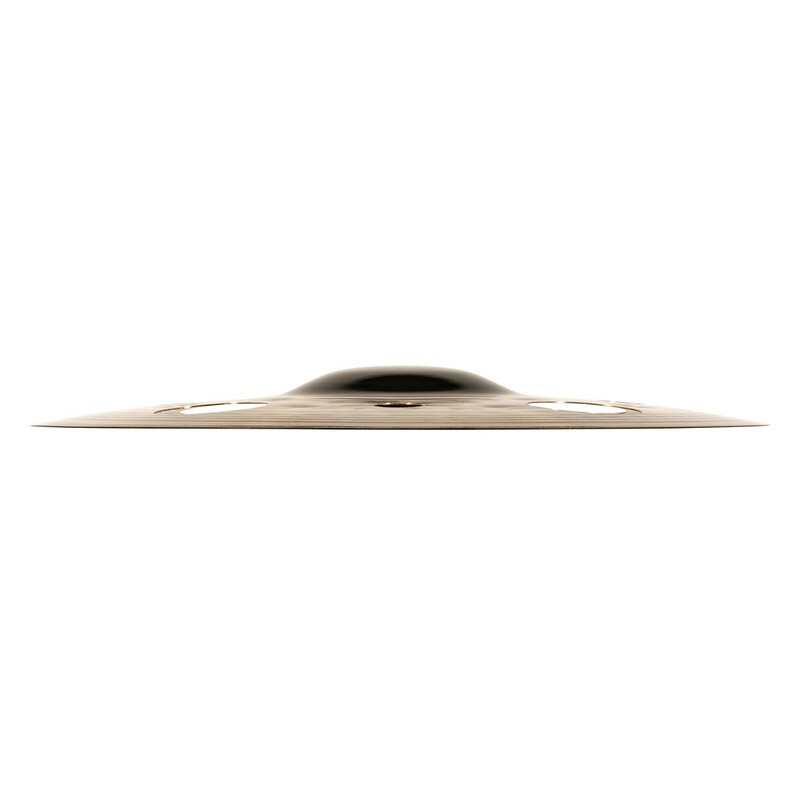 The holes help produce a sound that has a more focused frequency range, resulting in a white noise-like effect. 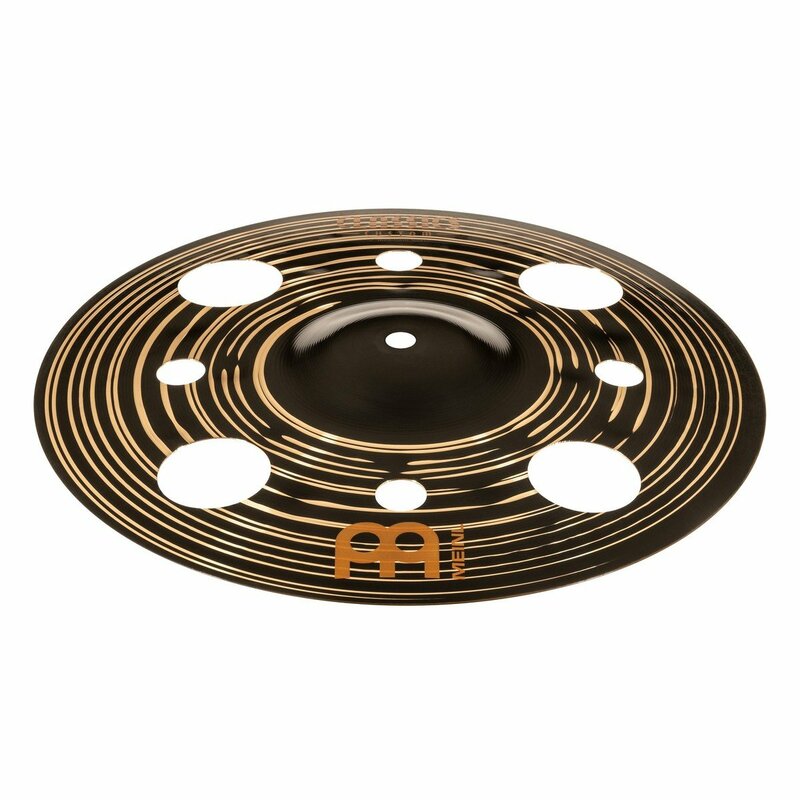 Meinl’s consistent manufacturing methods ensure the Classics Custom Dark cymbals provide unmatched versatility, sound quality, and striking aesthetics for your kit.